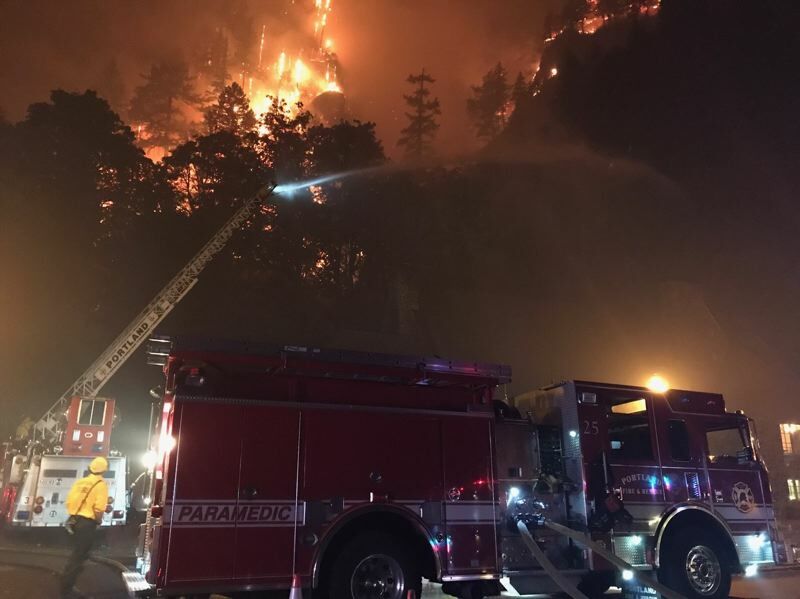 Investigators said the boy and others may have been using fireworks along the Eagle Creek Trail, which sparked the fire that has burned more than 10,000 acres and forced residents to leave their homes. Oregon State Police investigators say a 15-year-old boy from Vancouver, Washington, may have been among a group that started the Eagle Creek Fire on Saturday, Sept. 2. The boy's name has not been released. State investigators said they talked with the boy in the parking lot of the trailhead after the fire began. No arrests have been made in the case. Investigators are looking for witnesses who might have information about the cause of the fire. Anyone who heard fireworks or other explosions in the Eagle Creek Trail/Punch Bowl Falls area Saturday between 10 a.m. and 5 p.m. is asked to call state police, 503-375-3555. The investigation is being assisted by the U.S. Forest Service, the Hood River district attorney's office, the U.S. attorney's office and the Hood River Juvenile Department.